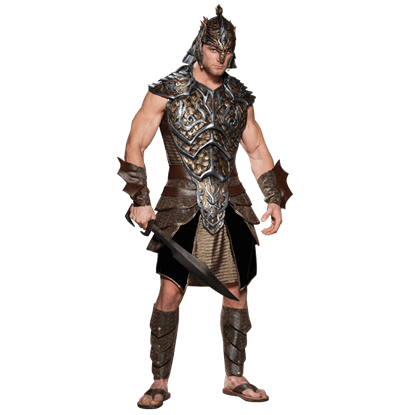 Here in the Mens Fantasy Costume Section of Medieval Collectibles, you'll find everything you need to create a fun and fantastic costume that's deeply rooted in fantasy. 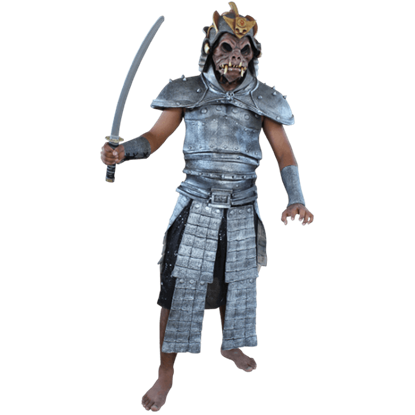 Ranging from demons to orcs to goblins to warriors and more, you'll find all your Fantasy Costume needs are fully met right here. Many of these costumes span dozens of different styles, all looking like they were taken directly out of the worlds of fantasy. You can be a troll, a gnome, or a goblin with any of the items you find here, as well as so much more, especially when you consider that the realm of fantasy is so broad. And not all of this fantasy is happy-go-lucky, either, as you'll find brutal warriors costumes, Minotaur guises, and devilish disguises here, all of which will render you a dark figure directly out of the most sinister of stories. And these costumes aren't just great for Halloween, no. They're all stunning garments that can and should be used for virtually any costumed event you can imagine, especially if the theme is taken from the pages of fantasy. Thanks to its broad variety, you never quite know what you'll find here in the Mens Fantasy Costumes section, although you're always guaranteed that it will definitely feature a great fantasy look and feel, as well as helping to make you look like a figure straight off the pages of the next greatest fantasy story. Sometimes, just wearing a skull mask doesnt cut it. There will be occasions that you need something extra to help complete the outfit. 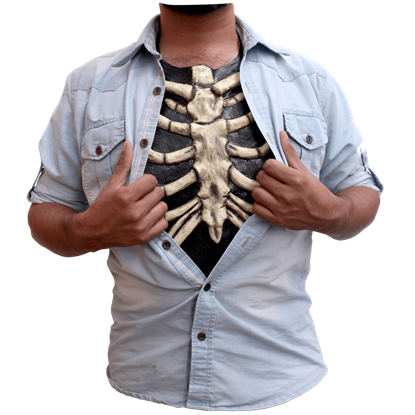 What better way to finish off your skeleton costume than with the Bone Ribcage Chest Piece! No mere mortal may look upon Cthulhu without suffering dire consequences, his dread-form beyond human comprehension. 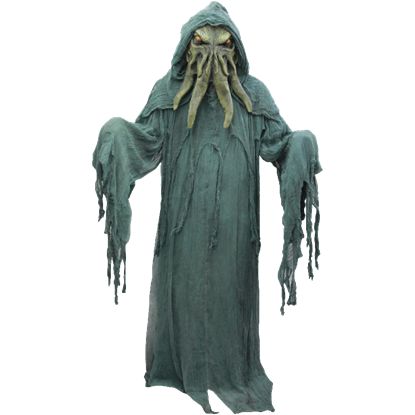 However, he is most often depicted as the monstrous, tentacled horror that makes up the Call of Cthulhu Costume. An unsettling air of mystery and horror surrounds this evil creature! 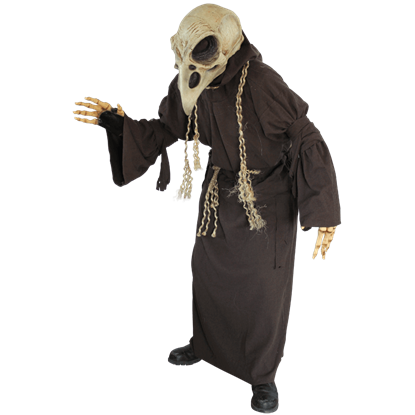 Eerie and strange, this Crow Costume is sure to be a big hit on Halloween when it will no doubt inspire screams and send chills down the spines of all who see it. 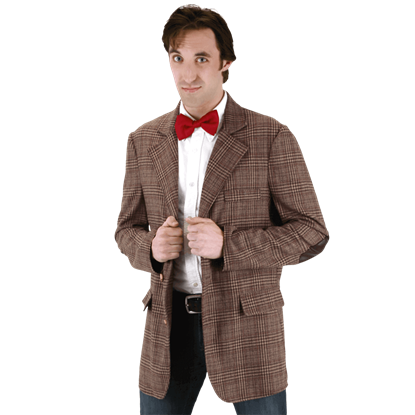 This dapper blazer is better than fish fingers and custard when you want to emulate The Doctor. Wearing the Doctor Who Eleventh Doctor Mens Jacket, you can shout Come along, Pond and find a ginger companion for your next journey. The classic noble and lord, this costume is not. 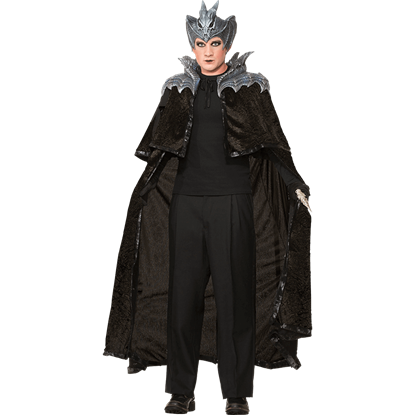 Instead, this Dragon Lord Mens Costume is for the guy who wants a bit of exotic style in his look, as well as the makings of a wicked warrior who can stand toe to toe with dragons and win. Twinkle twinkle little bat, where did you find that delightful hat? 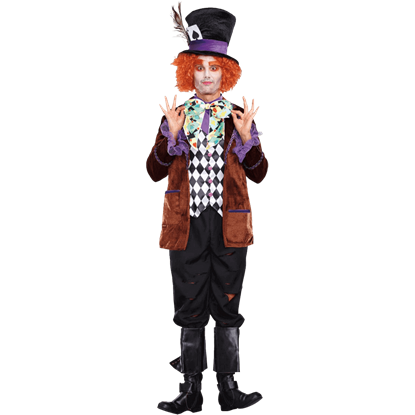 Your party guests will be clamoring for more hot tea and cakes when you wear this colorful Hatter Madness Mens Costume, right out of a charming land of wonders. Combining the grace of the samurai with the might of a knight and the fearsome visage of a demon, the Last Warrior Costume is a fusion of concepts that creates an intimidating and exceptionally powerful-looking fantasy character. Of all the creatures and deities in Greek mythology, no monsters are quite as prominent as the cyclops! 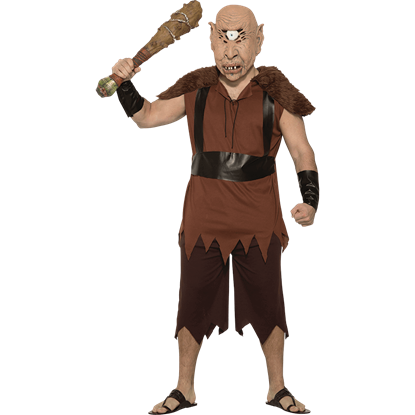 Now you can transcend your humanity and become one of these one-eyed creatures by putting on the Legendary Cyclops Costume! Transform into your favorite hero without sacrificing comfort with these trousers! With a straight leg style and lightweight fabric, these Mens Basic Pants will round out your pirate, vampire, supervillain, warrior, or other costume. The secrets of the universe will be within your reach when you dress up as this dark warlock for Halloween or another costume event! 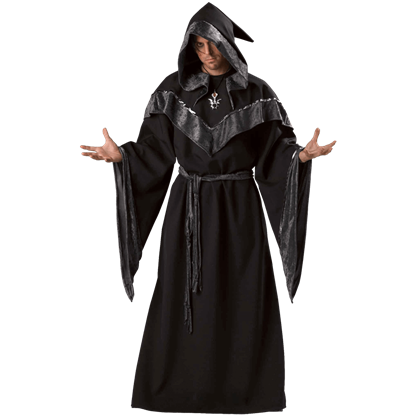 The Mens Dragon Sorcerer Costume includes a long black cape and a silvery dragon headdress. Deep within the catacombs of a lost city, a master of the dark arts prepares his latest spell. 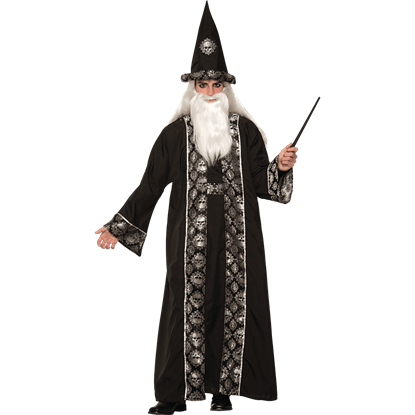 With his wand held high and donned in the Mens Magic of Darkness Costume, he unleashes a fearsome curse upon an unsuspecting world!